Hi there bloggy friends and She Speaks attendees! Lysa is hosting a Mr Linky for She Speaks attendees so we can all get to know each other before we get to the conference in just 3 short weeks! I can't wait to spend a whole weekend together laughing, learning and experiencing God in an amazing way. I wonder how many of you are excited to be going but also really nervous about the whole thing. Feeling a little hesitant about being in a room with 500 other women, wondering what to wear, wondering what to say, wondering what to write, wondering what you were thinking when you signed up for the leadership sessions, etc. Well, you are not alone. Just this morning I woke up with a cloud of DOUBT hovering over me about my messages for She Speaks. I have three weeks to finish two brand new messages. With all we've had going on with our move and everything that happened in between, I feel behind and a little overwhelmed. Oh, and guess what my Saturday night message is on? DOUBT, of course! Whether you are coming to She Speaks or not, I'd love to hear about your doubts - what area do you most often doubt yourself? I'd love to know if you have specific doubts about being a speaker, writer, woman in ministry, etc. What are the words of doubt that whisper in your ear? Do they make you retreat? What do you think causes them and what have you found to be a cure for them? Please click on comments below or send me an email with your thoughts. I really value your perspective. Isn't it amazing how the things we struggle become the very things God calls us to share about. It's His power perfected in our weaknesses that draws others deep into His abiding love. So, whatever you are feeling today - joy, hope, doubt or fear - I'd love to hear about it. And my prayer is that together we'll press into Jesus, asking Him to speak to us through it, as we become vessels of Grace and Truth equipped by Him to speak about it! We had a wonderful, tiring and very productive first week in our home. So many boxes unpacked, lots of furniture set up along with beds, desks and bookshelves to store more stuff. We love our new home and very quiet neighborhood - only one other family lives in it so far. We love to sit on our front porch steps and watch the kids play, listen to the birds and even quietly observe some deer in the forest nearby. The boys favorite thing to do is ride their skateboards and scooters down this little hill in front of our house that ends in a culdesac. It's perfect because no one lives on the street and there's no traffic. 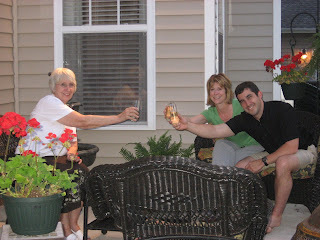 Last Friday night my mom came by to mom came over to celebrate our one week anniversary in our new home. She brought champagne! We were in the kitchen cleaning up when Joshua came running into the house screaming for us to come out frong because Andrew was hurt. He'd been riding his scooter and jumped over his skateboard with it. According to Joshua, his first words after his crash were "man that was awesome" and then he screamed because his hand was bleeding. We cleaned him up and put ice on it. It seemed to be badly bruised and cut, but he could move it. He slept that night and we put more ice on it in the morning. On Saturday JJ's brother and family came in town for the long weekend and the kids played all day. It was still swollen, but he seemed okay. Sunday and Monday it was still swollen but he could move all of his fingers and his hand. He even played on the Chick-fil-A playground during our family lunch. It was tender but he kept saying it didn't hurt unless we touched it. I kept thinking I was overreacting with concern but finally Tuesday after school I insisted we go to urgent care just in case. My friend Kim agreed that it just wasn't looking right. 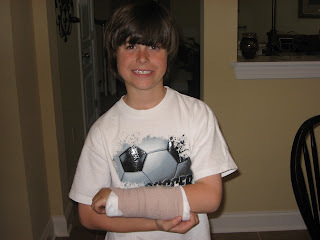 You should've seen the "bad mommy" looks I got when we told the nurses and doctor it happened Friday night.They put a temporary cast/splint on it and tomorrow he gets a real cast for 4-6 weeks. Just in time for summer. We;re praying that they'll give him one that is waterproof so he can swim and bathe (independently!) I have heard they can do that these days. I keep thinking about that Nationwide slogan about life coming at you fast, and how they're here to help. Life is surely coming at me fast these days! Well, Nationwide can't help me this week, but thank goodness I know Someone who can! We're in our new home!! This morning I am resting in God's tender loving care and beautiful refuge of grace. 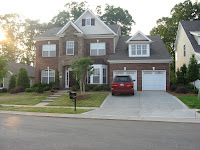 Our move went really well - and it's was not based on our plans but totally God's provision. In fact, our plans started to fall apart on Thursday night with our helpers (some had things come up and needed to cancel) so we came up with plan B, hire last minute movers. We were looking up numbers and making new plans when we sensed God telling us to wait. Friday morning we found out why. GOD had other plans we didn't know about. He sent people we didn't know were coming - in shifts - all day Friday!! We got all moved in to our new house in one day! More friends came on Saturday and then again yesterday. My kitchen, living room, dining room and bedroom are unpacked and even decorated thanks to a few very talented and industrious friends. Truly amazing!!! We have limited internet because our phone, cable and internet won't be hooked up until tomorrow (we hope) but I was able to get a connection this morning and wanted to share our news with you. 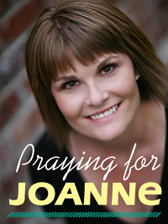 Thanks soooo much for all of your prayers and encouragement. I've got a few moving stories to share later this week. Until then, enjoy today's journey along the path God has for you - trusting in His plans when yours seem to be falling apart. We are packing up and counting down the days!! We have six days left in our home as we prepare to close on Thursday afternoon on this house and Friday morning on our new home. Yes, our new home. I can't believe it's already the week we move. This in between time is starting to make me a little crazy. We are almost done packing and repairing, but we still have lots of cleaning and truck-loading to do. I'm feeling unsettled today. I think it's the messy state of our house with almost every room in disarray. I have kept my bedroom "normal" and I am hiding in it right now so I can pretend everything is done - for at least a little while anyway. Thank you all for your encouragement even in my absence. I have been surprised that my blog visits didn't drop even though my postings did! You guys are some faithful friends to stick it out with me when I'm in survival mode and too busy to blog. Your emails and comments have been so sweet. A few asked if I read old posts in hopes that I'd get there notes. The answer is yes, I get an email every time someone posts a comment, even if it's on an older post, and I read and treasure every one. I have especially felt your prayers for peace and joy in the midst of our loss of our dog Chelsea. We have a little memorial in our living room corner that the boys made with Chelsea's bed. It has her photo, her collar and rose petals they have put in it. It's so sweet and it's been a place where we can remember her, and feel like she's still in our lives even though her cute little wiggle worm self is not nearby. I've also felt your prayers for strength and endurance as I traveled last week to speak, and prepare to speak tomorrow at our church for Mother's Day. All the details fell into place beautifully last weekend. Even down to my friend Sharon going with me at the last minute and how much fun we had together! Last weekend's retreat was a treat for me and I pray for the women there. Based on my conversations with many of them, God really spoke to hearts in tender and personal ways. Getting away from all that we have going on was just what I needed. When I got back in town my mom told me she had a hernia and had to have surgery this past Thursday. At first, I was too tired to process it and almost freaked out a little but I didn't let her see it. I just asked her what she needed me to do. But after a good night's rest I had renewed sanity and the assurance that God would supply what I needed for this unexpected twist in my already crazy week. Her surgery went great and she came to stay with me Thursday and Friday. It was a great chance for us to just be together. She talked to me while I packed many boxes, and I was so thankful to have her here. She's doing great today and has gone home to recuperate for the rest of the week she needs to stay out of work. The Lord has assigned me more than I can handle on my own for sure. But I am experiencing more of Him and discovering in a very real, very tangible way, that He ABLE to handle every detail and supply every need! Today I am taking a mini-break for a pre-Mom's-day manicure and a movie. This afternoon I'll be soaking in some Living Water with my Jesus as I prepare my heart to pour out His love into the women at our church tomorrow. Oh I want it to be a beautiful offering to Him and them!!! Last weekend I spoke in TN at the West Park Baptist Church women's retreat. To all of you who were there, thanks for grafting me into your Circle of Friends! I loved meeting you and sharing such a fun time together. Here are a few photos I took to help me remember the sweetness of your fellowship! 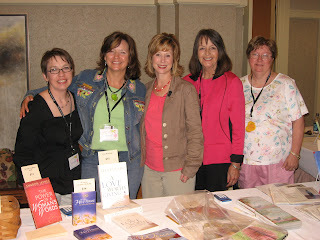 What an amazing retreat team and aren't those some beautiful book table volunteers? All of you were such servant friends. I drew a name from the stack of envelopes and the winner of our drawing is Pamela Seay. I'll be sending Pamela a copy of my favorite book on friendship called Traveling Together by Karla Worley. Thank you so much for your prayers and encouragement. I have needed them more than I can say. The past few days have been filled with lots of tears, sadness and an aching place in my heart and home that Chelsea had filled. I have never been through such a loss. No one close to me has ever died. I was not prepared for the grief and felt as though it were going to swallow me whole. I know many people may think, "it's only a dog" but for us it was a member of our immediate family. It was someone we talked to, cared for, loved on and were loved by every day for almost 14 years. I know there are so many greater losses in the world around me, but for a few days I needed to feel what I was feeling. Your love and prayers were part of God's way of letting me know that it was okay, actually normal, to feel so sad. Many people have asked how our boys are doing. Andrew is handling it well. He doesn't want to be sad so he tells us to stop crying because that will make him cry. He doesn't want to talk about it much, so we try to talk and cry when he is not around. He went to school on Tuesday, but Joshua was so upset that we let him stay home with me. Then JJ decided to stay home from work, too. We all sat in the living room where Chelsea like to stay and reminisced about her. We took turns being upset and talked about what we miss most. It was good to give ourselves that day to grieve. It's funny how when someone else is crying, you become strong for them. Then when they seem okay, you feel like you can let your guard down and sob. That is how it's been here since Monday. We knew we needed to let go but we also knew we didn't want to let go too quickly. We don't want to forget how special she was so we celebrated her life and grieved our loss all day. God is teaching me so much about His constant companionship through memories of Chelsea. He has drawn me so close to His heart for comfort and has reminded me again and again of how much more He wants to be all of those things to me in such a deeper way. I'm headed back to work today for the first time. I am looking forward to being with my friends there who have carried me through this storm through their love and prayers. 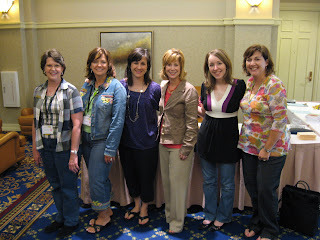 Boy do I have an amazing circle of friends who are Jesus with skin on - and you my bloggy friend have become one of them.